When someone dies, there is a lot of work to do in preparation for their burial rites. Once arrangements have been made, an announcement is generally made to let those who were associated with the individual know of their passing. 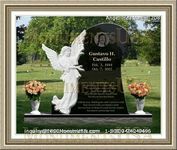 This is made by issuing formal funeral notices that provide the necessary information. This announcement is different from an obituary. The obit is a shortened biography that is usually written by a member of a newspaper's staff according to a template. 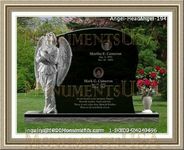 A notice is paid for, and written by the family, and contains more personalized information about the deceased's life and planned services. Such announcements are typically posted in local papers but it is not uncommon for them to be made via personal invitations or emails. There are two main ways for them to be done. 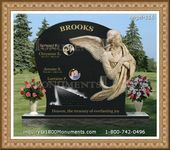 The simple form states name, location and time only, while the other choice is filled with personal information, details on all services and sometimes a photograph of the deceased. Key facts are always included in the announcement. These are the individual's full name including maiden and commonly used nicknames by which the individual was known. Other details such as their city of residence, date of death, family members surviving them and the time and location of services are also mentioned in the article. If the family chooses, additional details about the cause of death may be included as well. Listing the deceased's place of birth, schools attended, employment, religious affiliation, civic organizations, military service, special interests and hobbies help others to identify with the individual. Some even opt to acknowledge the pallbearers and officiant. If the services are to be a private family affair, this should be mentioned in the article. In circumstances where donations for charity are preferred instead of flowers, details need to be part of the announcement. Funeral notices are both a way to share information about the memorial services and to show final respects to the dearly departed.